A tale of 6 blades. 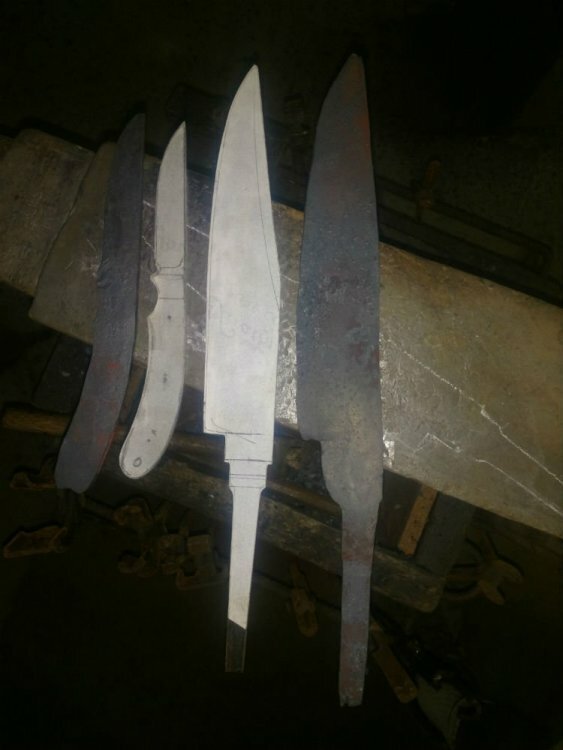 I decided to try working on knives in a grouping of more than two. I typically only work on one or two at a time. So here is the beginning. It started out as 7 blades. Some got discarded along the way and replaced, some got redesigned after forging, others just got tossed. 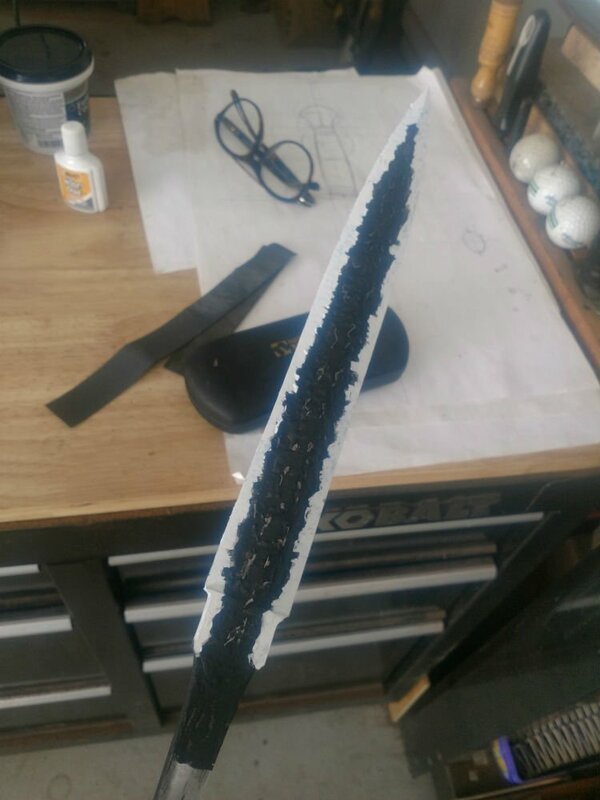 First I grab a pencil and some paper and design the whole knife. 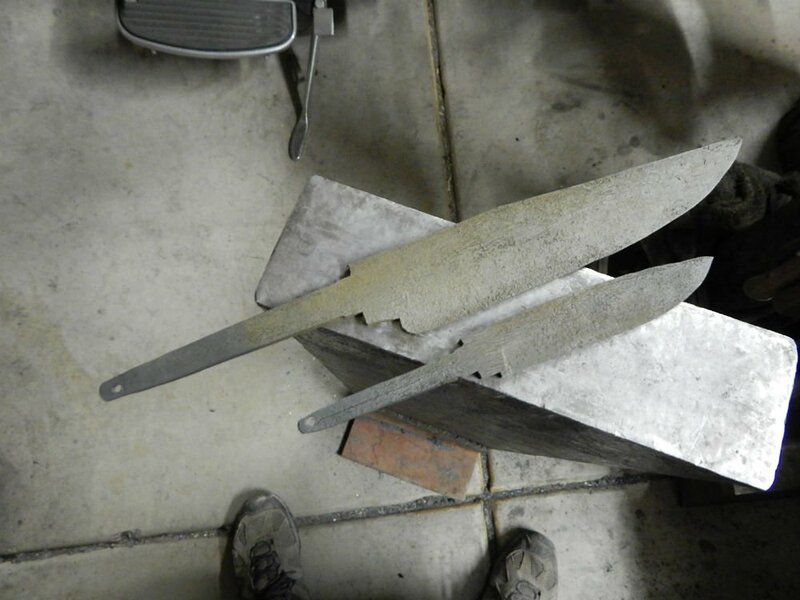 Then it's take a template (or make one) and choose the handle material and prepare the blade steel stock. 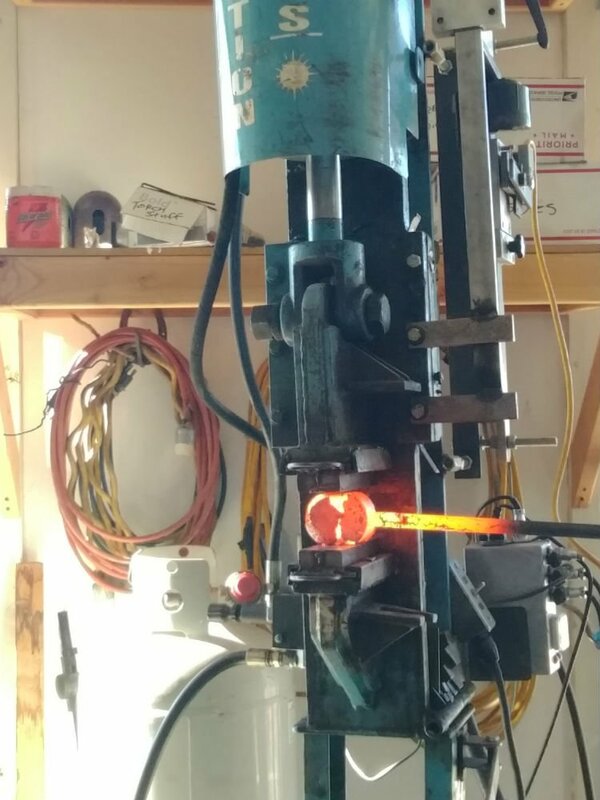 Then it's fire up the forge and start banging them out. I keep the templates handy during forging. I even draw the profile with a soapstone on the anvil face and hold my forging over it to see where I need to push the steel. 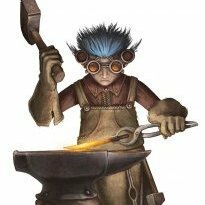 Eventually, I wind up with a bunch of forged blades. Really like the shape of that big bowie in the last pic. Looking good, Joshua! Keep em coming. Thanks Joshua. 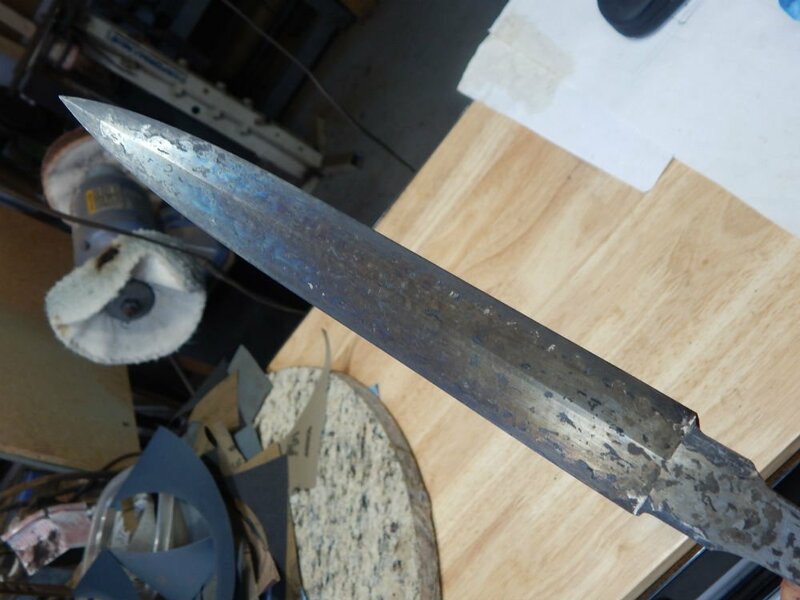 Please show how you are going to seat that curved tang. Sure thing Charles. Which one? 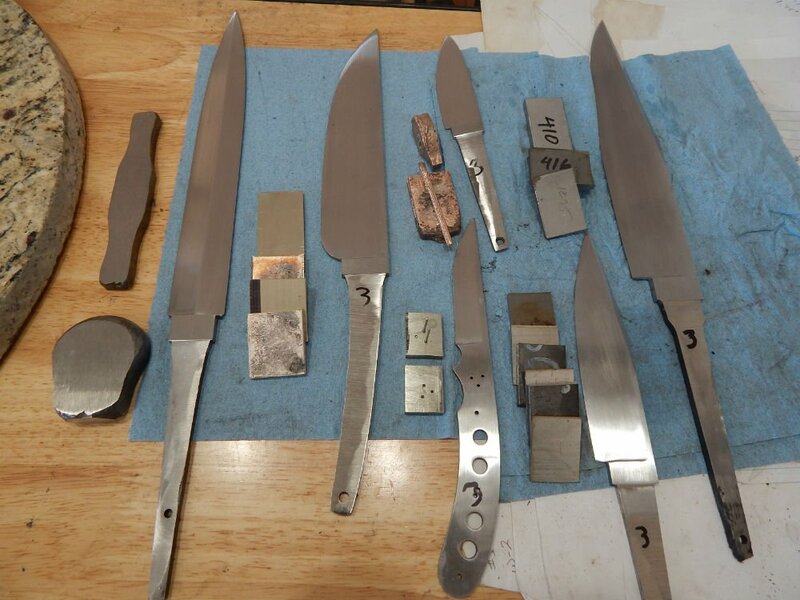 I assume you mean the Bowie-ish blade in the last photo, not the full tang model next to the other Bowie on the anvil in pic#4..
That one didn't make the cut. I was going to do a through-tang take-down and nixed the idea. 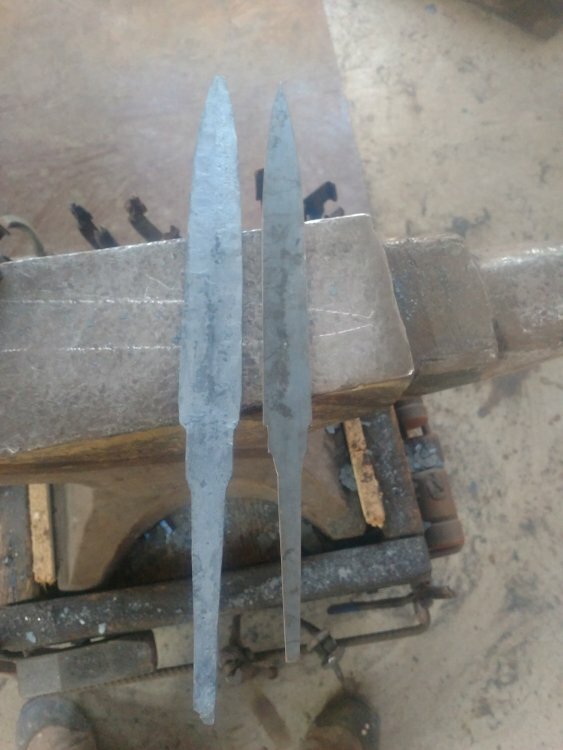 I made another one with a curved tang. I'll make sure I show the guard setting. It's much the same as a straight tang though. Here are the 6 finalists after rough grind. Five in one photo and a cruddy photo of #6 that replaced the one Charles was asking about. I'm really liking the look of that dagger, nice job Josh. Thanks for sharing. 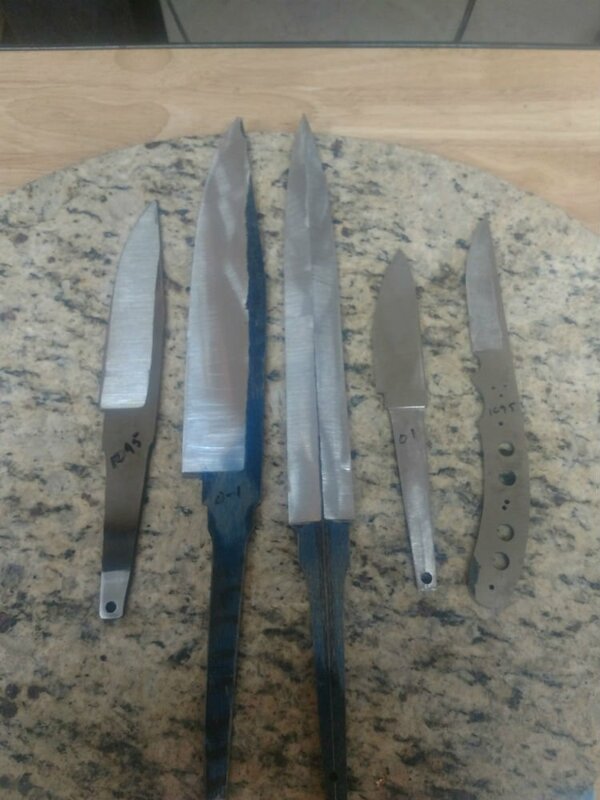 These all got heat treated and hand sanded to 320 grit. then I gathered up the materials for the guards and spacers packages so I can fit them. 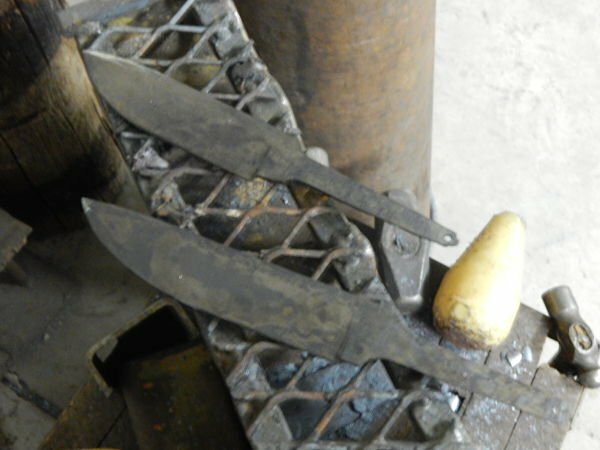 I had to forge out some W-1 for the dagger fittings and there was some casting of plates and a rough guard for a couple of the blades. (Shibuichi plate and red bronze plate and guard). Here are a couple of glam shots of the dagger HT operation. Hand sanding 6 blades out gets a little tedious. I'm taking a break from knives for a bit. Got some tooling to work on making.